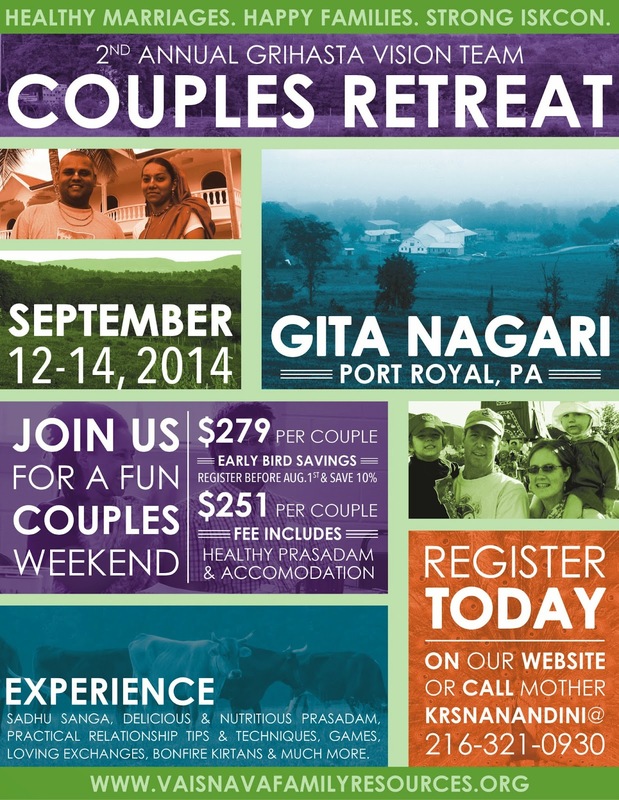 GVT Presents Second Annual Couples Retreat in Gita Nagari ~ The Toronto Hare Krishna Temple! 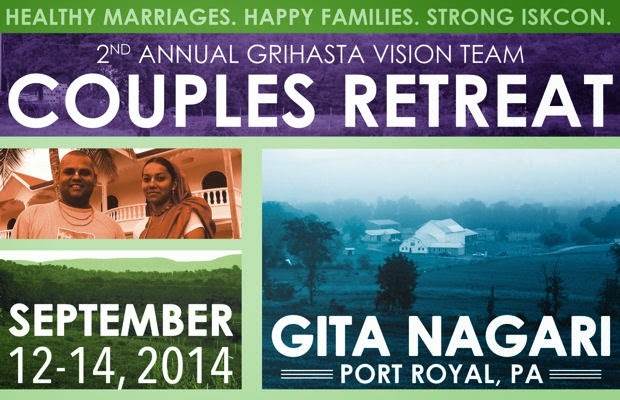 The Grihasta Vision Team, a dynamic and progressive group of senior devotees in ISKCON are excited to present their annual Couples Retreat! In an uplifting atmosphere of potent association and hearing and chanting. For more information, call Krsna Nandini devi dasi at (216) 321-0930.